ST. PETERSBURG, Fla. (April 9, 2019) -- A pair of Tampa Bay Rowdies found their way onto the USL Championship Team of the Week for their stellar performances in Saturday night's 4-0 win over Hartford Athletic. Fernandes had a pair of assists and would have had a third if not for a slight deflection from a defender. Guenzatti scored his team-high third and fourth goals of the season. 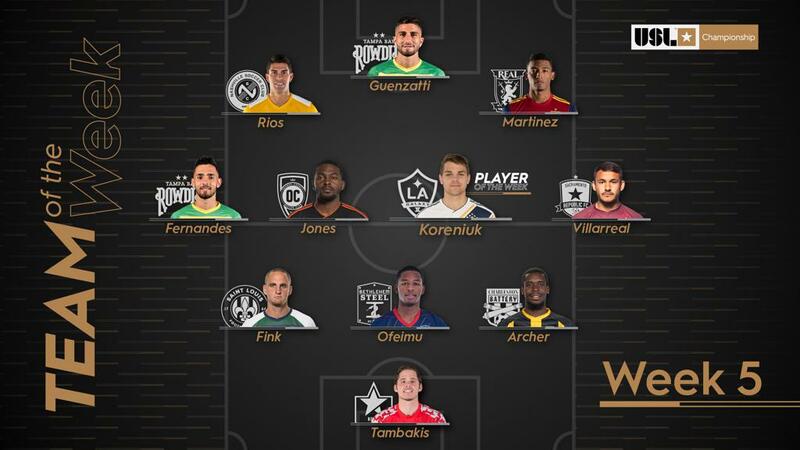 David Najem eanred an honorable mention on the Team of the Week bench after scoring his first goal in Rowdies colors.